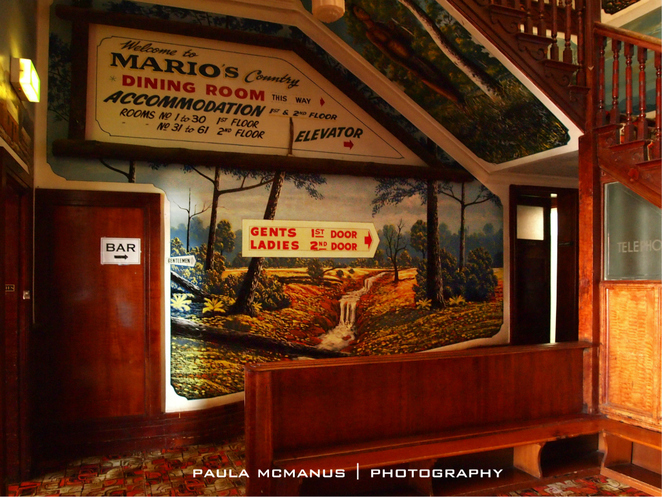 Mario's Palace Hotel was built in 1889 and was originally used as a coffee palace. Back in the day when Broken Hill was known to have a pub on every corner, a local temperance group had a vision for a non-alcoholic venue where people could dine and drink coffee. They organised a competition for submissions for a building design. Alfred Dunn of Melbourne won the competition and the Coffee Palace opened. But, the locals never quite grasped the idea of a non-alcoholic meeting place, and any thought of profits went down the drain and the Palace opened as a licensed hotel in 1892. Mario Celotto purchased the hotel in the early 1970's. Mario and his 2 brothers migrated from Italy in 1949, thinking that Australia would be a lovely change from their cold and wet home. The extreme heat of the Australian outback was too much for two of them - 1 brother left after just one week and the other left two and half weeks later. But Mario stuck with it and earned a nice fortune in the mines and in hotel real estate. He purchased the Palace Hotel and gained inspiration for turning it into something different and arty while on a holiday to his native home. While in Italy, he saw the famous Renaissance paintings and on his return to Broken Hill spent the next 6 months painting the ceiling with his version of Botticelli's 'Birth of Venus'. He challenged the locals with a $1000 reward to match it. A local aboriginal artist, Gordon Waye, took up the challenge and created an amazing artwork on the wall. He used normal house paint and finished his artwork in 8 hours. He won the $1000 and the painting is still there. 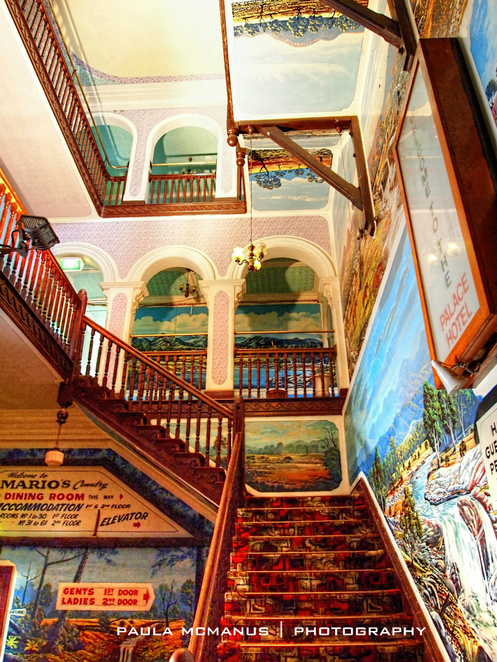 Gordon Waye painted nearly 50 paintings on the walls of the Palace Hotel over the years. The artists were allowed to paint what they wanted, but with one condition. The paintings must have included water - Mario wanted visitors to remember his Hotel as an oasis in the outback. The Palace was made famous in the 1994 Australian movie "Priscilla, Queen of the Desert". 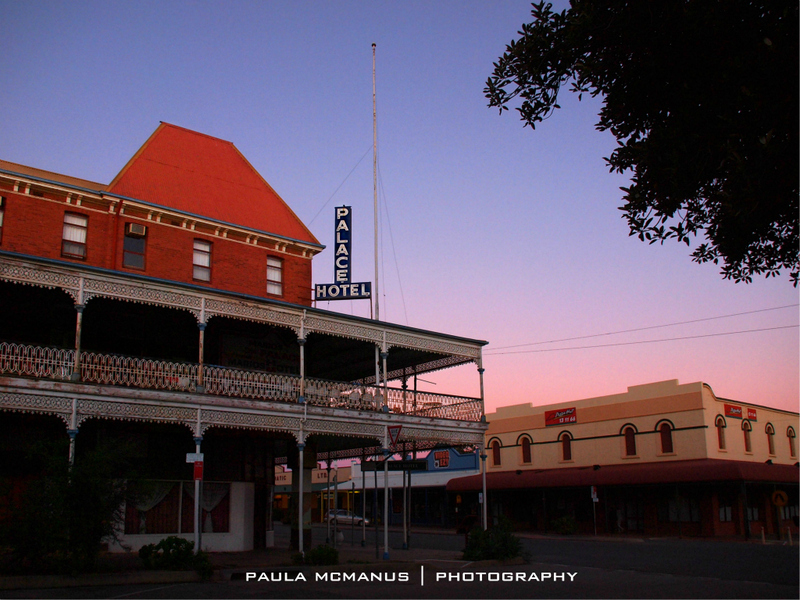 Broken Hill is a popular location for movies and many great scenes from Priscilla were filmed in and around the Silver City, including inside Mario's Palace Hotel. These days, they have a special room that you can book into - The Priscilla Suite - a great talking point for your holiday! 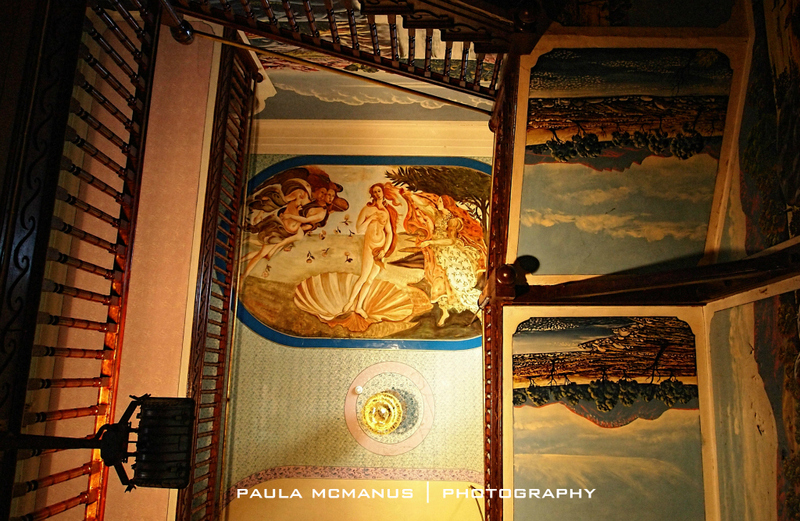 The Palace Hotel in Broken Hill is a really unique hotel and well worth a visit. There's a massive balcony that overlooks the main street and is the perfect spot for sitting and relaxing. The interior just has to be seen to be believed. There's a coin operated spotlight system - just pop in a coin, the lights shine on the artworks and you take it all in (or take as many photos as you can) before the lights go out again. 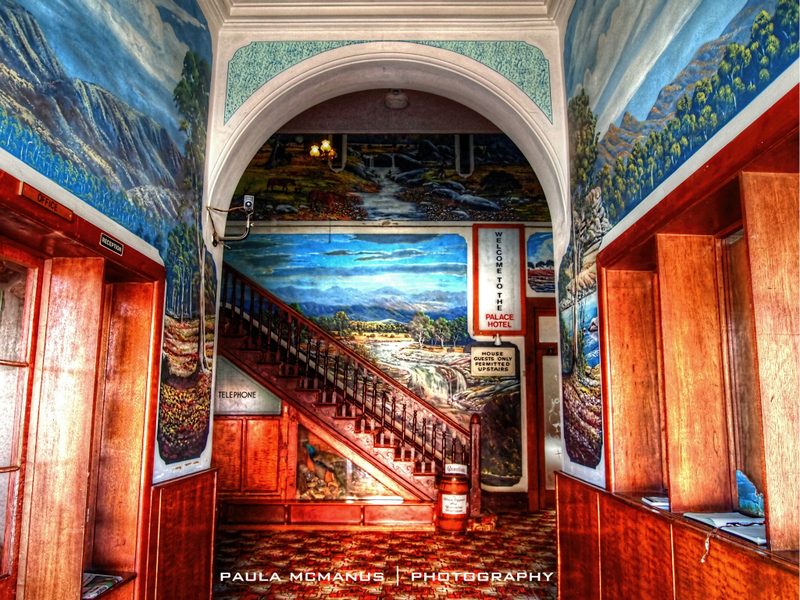 It's breathtaking and something you simply must do when visiting Broken Hill. I love this quote by Mario's son, Marat Celotto: "people see Priscilla, they see the paintings and it's just a wow thing. It was a wow of a movie, wow of a place, wow of a country, isn't it?" 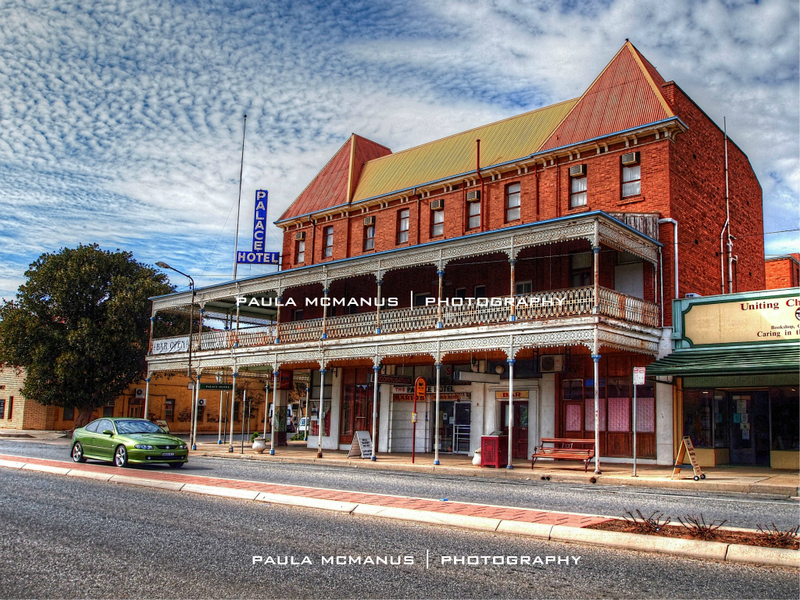 Mario's Palace Hotel is located at 227 Argent Street, Broken Hill, NSW. Broken Hill is a remote city in the New South Wales outback. Although in New South Wales, the city is very close to the South Australian border and uses the same time zone and phone area code and receives Adelaide TV and radio stations. Explorer Charles Sturt first named the area Broken Hill after a number of hills that looked to have a break in them. The original "Broken Hills" no longer exist due to extensive mining in the area. The original name for the area was Willyama. Wow, every available surface appears to have been painted. Amazing.